Facebook’s data and research disclosure policy never discusses any risks related to having mood manipulated. And let’s be clear, there are risks. People struggling with depression, anxiety, anger problems and suicidality use this platform, and during the study they would have their negative mood amplified if they were in the “positivity reduced” condition. We don’t know if there were any negative consequences to this amplification, because no informed consent about being subjected to a mood experiment or its potential risks was ever given and no follow-up with a debriefing (e.g., telling people what they just went through) was ever provided. But there may well have been negative consequences for people who were vulnerable. I might add that some research suggests that people higher in neuroticism use social media more often and for longer periods than those who are low in this trait, Caci et al., 2014, as cited by Myers, 2014). As The Atlantic article notes, when people are deceived or manipulated in an experiment, ethical practice is to debrief them at some point. There was no such debriefing ever provided. When an experiment creates emotional distress, participants are supposed to be given resources that they can use to seek help. Of course, this ethical guideline was never met because people didn’t know they had been in an experiment, and no one assessed the degree of emotional distress that might have been caused by the experiment. As a colleague of mine, Mike Langlois, commented on my Facebook feed when I posted about The Atlantic article: “This. Is. Important.” It remains to be seen what consequences for Facebook may come from this unethical conduct, but my hope is this breach of ethics will result in enough negative consequences to discourage such conduct in the future. Did Facebook’s Secret Mood Experiments Create Harm? It’s entirely possible that people who were already feeling bad, and then felt worse as a result of the experiment, may have been harmed, perhaps through increased depression, anger, anxiety, or suicidality. There might even have been increased self-harm episodes, out of control anger, or dare I say it, suicide attempts or suicides that resulted from the experimental manipulation. Did this experiment create harm? The problem is, we will never know, because the protections for human subjects were never put into place. Regardless, it disturbs me that I haven’t heard this question asked enough in the current dialogue. I am on Facebook, mostly because that’s where “people” are: friends, family, colleagues, alumni of our school. But I am hoping that more people will join me on other platforms, as I would gladly give up Facebook. For now, as a first step, I will be canceling the advertising that I do there for one of the pages that I maintain. Belmont Report (1979). The Belmont Report: Ethical principles and guidelines for the protection of human subjects of research. Caci B, Cardaci M, Tabacchi ME, & Scrima F (2014). Personality variables as predictors of Facebook usage. Psychological reports, 114 (2), 528-39 cited by Myers L. (June 17, 2014) Facebook “Likes” and Twitter Followers Predict Personality Traits and More. Image courtesy of Dimitris Kalogeropoylos on Flickr. Update: 7/22/14: It appears that the article from The Atlantic, cited above, has continued to change — content has been crossed out, and , it seems to me that some has been added. So I recommend checking back to reread that article again. ← Innovation in Social Work: Where Does it Come From? Excellent critique, and right on. I would add that it also harms science as a whole, by perpetrating an unethical human subjects experiment on such a broad scale, with such wide publicity. 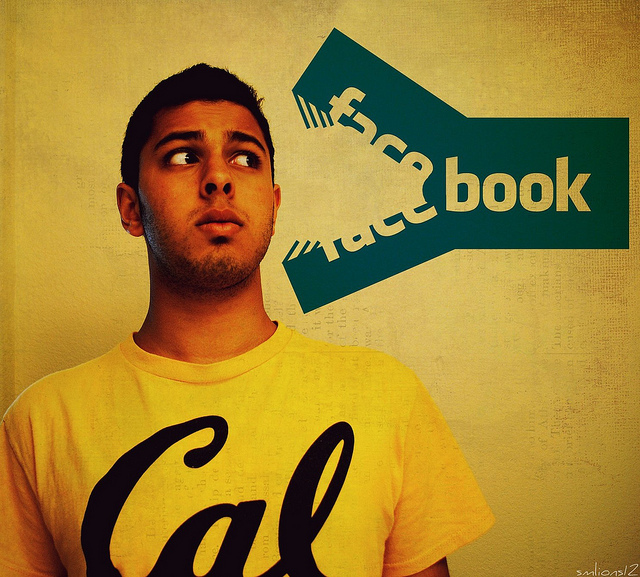 People will naturally be more skeptical not only of facebook, but of legitimate research. Excellent point, Ricky. Every time something like this comes out, it erodes trust. You migh be interested in this discussion that is taking place about the topic on Tumblr http://sociolab.tumblr.com/post/90286270601/facebooks-unethical-research-project . Thanks, Rachel, that looks very interesting! I agree with everything you say. I performed an experiment of my own today. I deactivated my Facebook account, read, and noticed my mood improved. Initial results show promise! Nancy, excellent commentary. Karen–WOW! You really left facebook. I have seen a lot of good things happening on facebook–people keeping in touch, getting support for an illness, and so forth. It’s disappointing, at the very least, to hear about this kind of stuff. Finally something fresh, an article which is not only angry, but explains why the experiment was not correct. You’re definitely right that the study was a failure if we assess its morality or scientific proficiency. On the other hand, I see one great plus it might have (unintentionally?) brought: opening people’s eyes. I agree completely about the value of this whole experiment surfacing. I will be curious to see if there’s anything else positive that will come out of this. Facebook has intentionally subjected it’s viewers to false information of wars and political information to create paranoia and increased stress levels. Many of it’s sites have actually created violence in people, especially where religion is concerned, mainly Muslims verses Christians. When I realized the information was false and harmful, I withdrew from the site permanently. This was sad for me as it took away my connection to my extended family. If you have links to information about some of what you mentioned, I am sure that my readers would appreciate seeing them. The one positive side to this whole Facebook experiment fiasco is that it is surfacing some information that many people haven’t heard. As I read your comment I realize that I now feel an emotional hostage when it comes to Facebook: this is where family and friends are, and those connections will be lost if I leave. And for me I would add to the list of connections to be lost: students, alumni and colleagues, because Facebook plays a very large role in my work.